CAIR-NY, DOT Art Launch ‘Amplify’ Public Art, Social Justice Campaign. 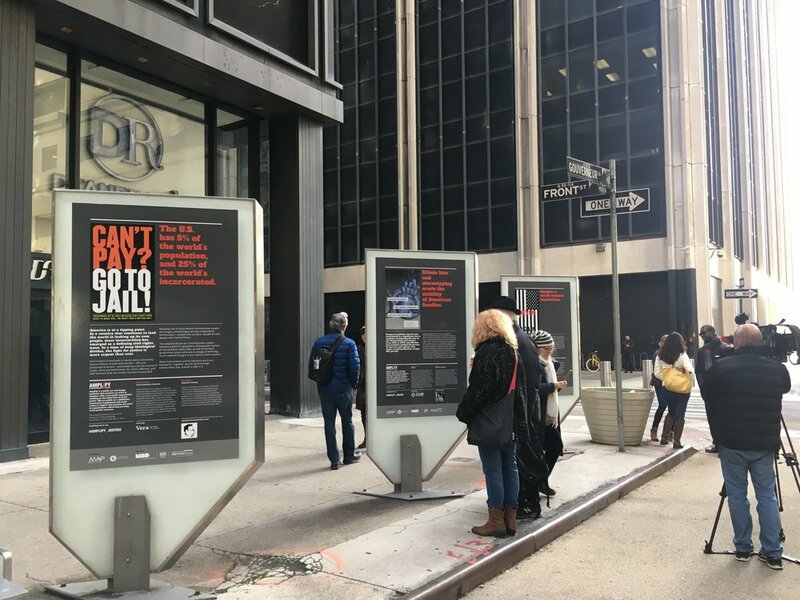 (NEW YORK, NY, 11/15/17) – The New York chapter of the Council on American-Islamic Relations (CAIR-NY), a leading Muslim civil rights and advocacy organization, today Partnered with the New York City Department of Transportation’s Art Program (DOT Art) to launch AMPLIFY, a public art campaign to promote local social justice organizations. DOT Art partnered with artists to highlight the work of ten social justice organizations and the communities they serve. 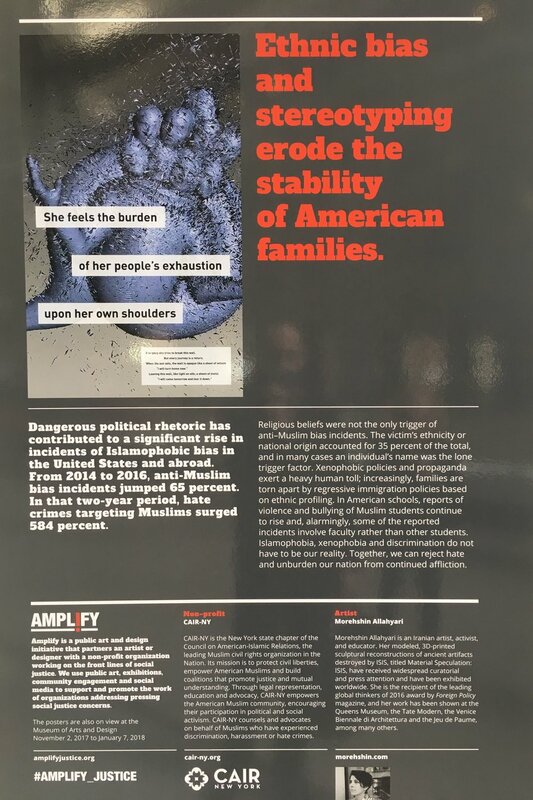 CAIR-NY worked with the artist Morehshin Allahyari to create an original poster focused on the shocking rise in anti-Muslim hate crimes, which rose 584% nationwide between 2014 and 2016. In New York, anti-Muslim harassment, discrimination, and hate crimes rose 560% in just 2016, faster than the national average.